This fully integrated dictionary is designed for 7 to 10 year olds, and assists students with their understanding of the meaning of words as well as the different shades of meaning. With over 1500 carefully chosen headwords, this is an invaluable reference for children in this ag... read full description below. 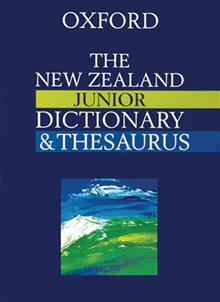 The New Zealand Junior Dictionary& Thesaurus is written for 7-10 year olds and is the first truly integrated dictionary and thesaurus. It not only assists students to fully understand the meanings of words but helps them to differentiate shades of meanings of words as well.